Wrongful death refers to instances in which one person’s actions or neglect result in the death of another person. Unlike murder or manslaughter, these cases are pursued in civil, rather than criminal, court in Philadelphia and surrounding areas. Because the victim of wrongful death is unable to seek compensation, their family or estate is allowed by law to seek damages on their behalf. With the aid of a Philadelphia wrongful death lawyer, this process can result in fair reimbursement for damages. Ideally, these cases provide fair and reasonable compensation for those who have suffered as a result of a loved one’s wrongful death, whether it be emotionally, financially, or both. Factors that are considered when assessing damages in a wrongful death case in Philadelphia include loss of wages/benefits, loss of companionship, emotional pain and suffering, and punitive damages. The methods for determining who may file a lawsuit or recover damages in a wrongful death case can vary from state to state. If you believe you have a valid case in Pennsylvania, you should seek the assistance of a Philadelphia accidental death lawyer who is familiar with the specific laws of the state. Defendants can only be found liable in a wrongful death case if it can be proven that their actions or neglect caused the death. This means attorneys for the plaintiff must establish that, were it not for the defendant’s conduct, the victim would not have died. As long as it can be proven that the defendant’s conduct caused the death, the time between their actions and the death itself is not a factor.. If you’re looking to file an accidental death claim in Pennsylvania, consult with a Philadelphia wrongful death attorney that will know understand the rules of liability for the state. 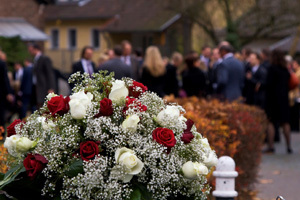 Damages in wrongful death cases serve to compensate the victim’s family members for their loss. Damages are awarded for many different reasons, and numerous factors must be assessed to determine proper compensation. That is why it’s important to approach each case individually, and consult with a wrongful death lawyer in Philadelphia who specializes in these claims. Some factors are relatively easy to assess, like the expenses incurred from medical and death costs. Other factors may be less obvious, despite being equally important. These can include future earnings, benefits, and loss of companionship. Assessing the dollar amount of such damages for cases in Philadelphia can be difficult. Doing so requires anticipating the victim’s lifespan and future earnings, as well as the subjective impact of the death on surviving family members. Having a professional on your side can help, so contact a Philadelphia accidental death lawyer regarding your case. Punitive damages may also be assessed in these cases. While other damages compensate for a specific loss, punitive damages serve as a punishment for the defendant. They may be awarded if a defendant’s actions were intentional or grossly negligent. These damages can also discourage others from taking similar actions in the future. If you believe you have a wrongful death case in Philadelphia, contact an accidental death lawyer at The Rothenberg Law Firm LLP at 1-800-642-8888 or submit a free case evaluation online at InjuryLawyer.com. It’s essential to get guidance from a wrongful death lawyer in Philadelphia who is familiar with the state laws. During your initial FREE consultation, an experienced Philadelphia wrongful death lawyer at our firm will review your case and determine if it’s valid. If we agree to take on your case, we work on a contingency basis. That means we won’t charge any legal fees unless our Philadelphia wrongful death attorneys succeed in getting you compensation. Keep the Statute of Limitations in mind. It establishes expiration dates, by which time you must file your lawsuit. Contact a wrongful death lawyer in Philadelphia at our firm immediately to avoid foregoing your rights to money and other potential benefits.